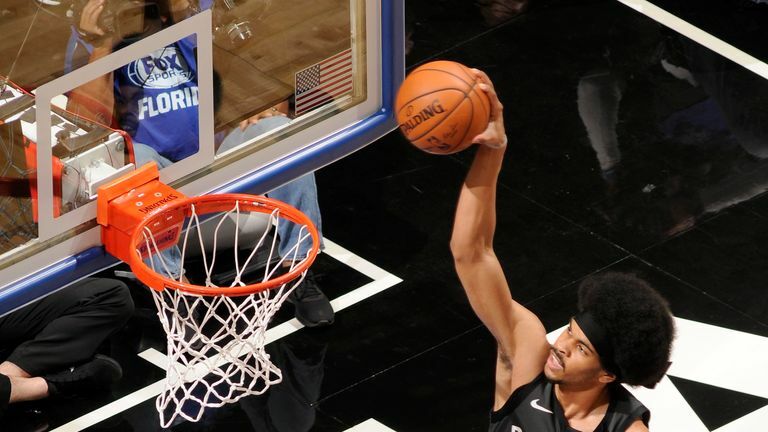 Every Monday, we look back over the previous week of NBA action and put five teams under the microscope as we grade their recent performances. Who will be hailed as high achievers and who needs to do better? On January 31, the Pacers were flying down to Miami after suffering their fourth straight loss following a 107-100 defeat to the Magic. The season-ending injury to Victor Oladipo appeared to have left them lifeless. But fast forward 10 days and Indiana have torn it up in early February, winning their last five, four of those in the last seven days to hop to within 4.5 games of Eastern Conference leaders Milwaukee. The recovery began with a tight 109-107 win over New Orleans before blowout victories over the two teams from Los Angeles courtesy of renewed offensive vigour. They followed up a season-high 69-point first half against the Lakers with 71 against the Clippers two days later. 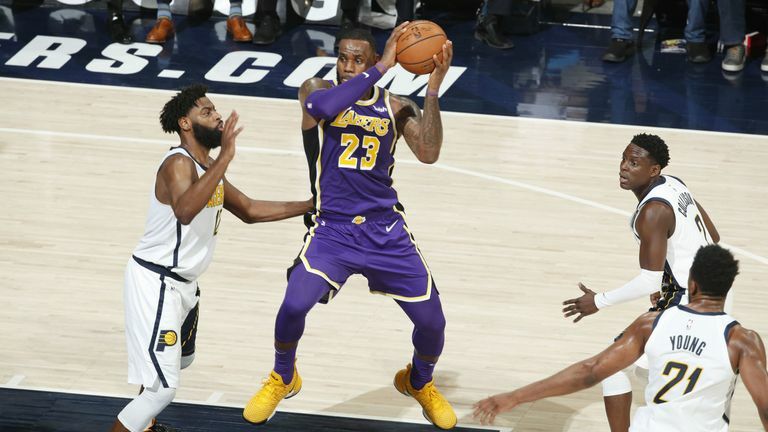 Highlights of the LA Lakers' trip to the Indiana Pacers in Week 17 of the NBA. "We've been connected. Defensively, we've been playing well. Offensively, we've got good ball movement and guys knocking down shots," said head coach Nate McMillan. "We found our rhythm." With the star-studded 76ers are breathing down their neck it remains to be seen whether they can hold onto the No 3 spot in the East - crucial if they want to avoid one of the big boys in the first round of the play-offs - but they've had a great week. Such is the top-heavy nature of the East, the Pistons currently occupy the final play-off spot despite a modest 25-29 record. That's not their fault though and their perfect week has lifted them above the Heat. Add to that the acquisition of Wayne Ellington and all the talk in Michigan is of a genuine play-off push. Ellington brings post-season experience and a three-point threat that was lost with the departure of Reggie Bullock and coach Dwane Casey is excited to have him. Highlights from the NBA as New York Knicks took on Detroit Pistons at Little Caesars Arena. "He's such a smart player and he understands certain things we're doing and how he's going to get his shot, so it won't be hard to integrate him into what we're doing," he said. Their week began with a 129-103 drubbing of the previously high-flying Nuggets (more on them later), before a pair of wins over the Knicks - neither of them close - inched them closer towards the .500 mark. They are only 2.5 games behind 6th-placed Brooklyn. That has to be the aim and there is no better place to start than their next game against the Wizards on Wednesday. The Celtics' week began well enough with a 103-96 win in Cleveland. That game capped a five-game winning streak that saw them fourth in the East and clear of the Philadelphia 76ers. 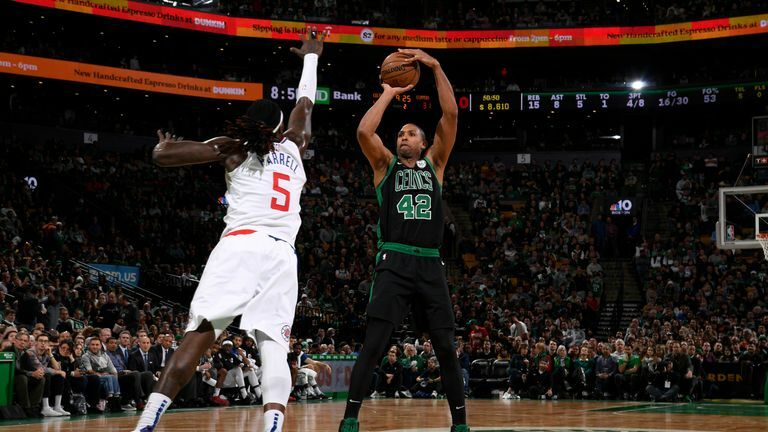 Just a few days later though, and Boston have suffered two damaging defeats while 76ers have nabbed Tobias Harris to complete perhaps the league's fiercest looking top five and won their last two to leapfrog the Celtics. Both of Boston's losses came against LA teams. Both came after they had held substantial leads. On Thursday they gave up an 18-point advantage against the Lakers to lose 129-128, but worse was to come on Saturday as they blew a 28-point lead against the Clippers. 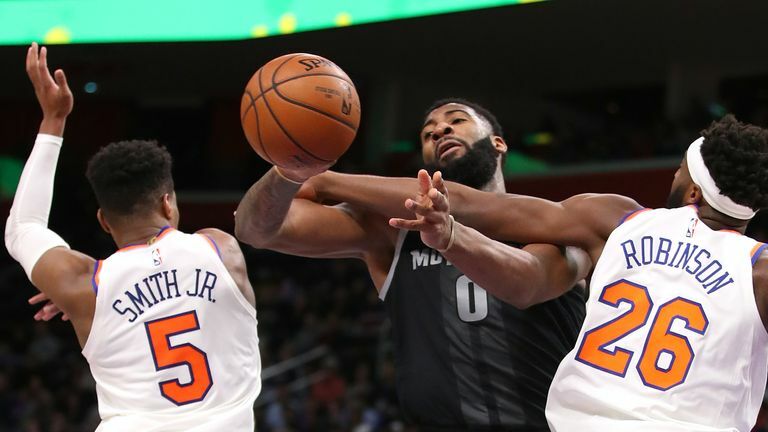 It was the largest comeback in the league for two seasons, and prompted Marcus Morris to unload on reporters about what he saw as a lack of team spirit within the camp. The Clippers defeat was made worse by an injury to Kyrie Irving just before half-time. Irving did not return for the second half, although an MRI on Sunday at least cleared him of a serious problem and he is listed as day-to-day. Boston need him back. On the surface, there doesn't appear to be too much wrong in Denver. They're still second in a stacked Western Conference, after all, but the last seven days haven't been kind to the Nuggets. One problem is that they've been forced away from the rarefied air of Colorado, where they have an impeccable 23-4 record. Away from the Rockies, they are 14-14, made worse by the three defeats this week. The opened up with a 129-103 loss to Detroit and then followed that with closer defeats to Brooklyn and Philadelphia. These are not trash teams, but still, the Nuggets have to find a way to win on the road. 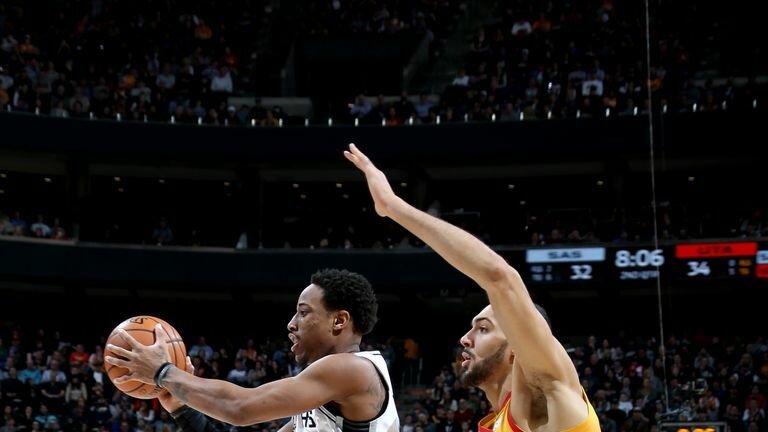 Highlights of the Denver Nuggets' clash with the Brooklyn Nets in Week 17 of the NBA. Head coach Michael Malone is under no illusions about where the problems lay. "It starts in transition," he said on Sunday. "We don't get back with any sense of urgency. We do not talk. Our lack of communication is comical at times. I mean, how hard is it to say 'switch' or 'screen'? "I know it is just three games, but we cannot let three games become five games." They are back in their own building this week, starting with Miami on Monday night. The Spurs are in freefall, losing all four of their games in Week 17. Granted, these defeats have come off the back of five straight wins, but all is not well in San Antonio. According to a report from ESPN Deportes, Pau Gasol wanted the team to trade him before deadline and given his limited minutes this season, that $16.8m is due to earn this season will be weighing heavy on the organisation. And that of anyone else who might want to take on the 38-year-old. On the court they are slap in the middle of a tough run and four games into their 'Rodeo Road Trip' - when the Spurs vacate the AT&T Center for the annual San Antonio Stock Show and Rodeo - and the Spurs, with a 10-19 away record, are definitely not good on the road this season. This week handed them four tough assignments against Western Conference rivals. They opened up the week with a 15-point defeat to the Sacramento Kings before an embarrassing 141-102 loss in Oakland to the Warriors. The 127-118 defeat to Portland on Thursday was the closest they got to their opponents all week as they ended the run with a 125-105 loss in Utah. Now seventh in the West, they are just one game ahead of ninth-placed Sacramento, while DeMar DeRozan continues to convince precisely no one about how happy he is to be in San Antonio following the trade from his beloved Toronto last year. Their road trip continues. They have four more games either side of the All-Star break before they return to the AT&T Center on February 28.